In this fantasy comedy, a man stumbles upon a leprechaun after losing his job. At first it seems as if the wish-granting little man might be just what he needs to turn his life around, but he soon finds that, even with the help of magic, turning one's life around is never that easy or uncomplicated. The film stars Albert Sharpe as the title character, Janet Munro as his daughter, and Sean Connery as the handsome young man who took Darbby's job. 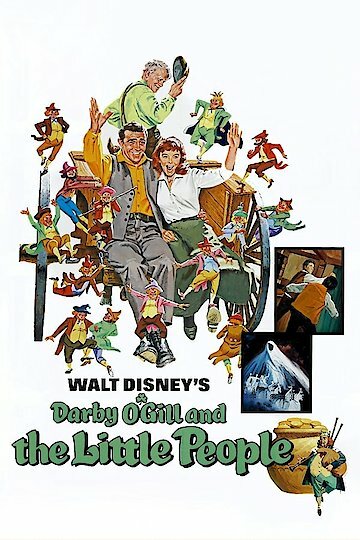 Darby O'Gill and the Little People is currently available to watch and stream, download, buy on demand at Hoopla, Amazon, Vudu, Google Play, FandangoNow, iTunes, YouTube VOD online.